Best Western Plus Jonesboro Inn & Suites est idéalement situé dans le centre de Jonesboro. Venez découvrir et profiter de notre hôtel à côté des principaux sites touristiques. Réservation au meilleur prix et offres exclusives toute l'année. 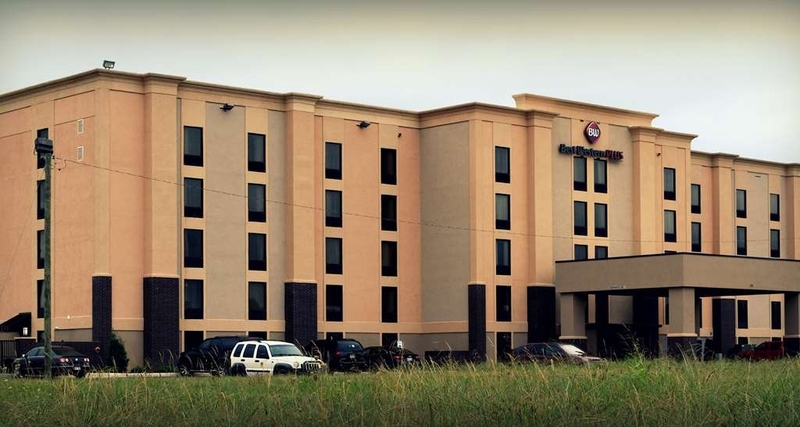 Situé en bordure de la Highway 63 dans la seule région métropolitaine du nord-est de l'Arkansas, le Best Western Plus® Jonesboro Inn & Suites est proche des attractions, sociétés commerciales locales, restaurants et magasins. Ce nouvel hôtel de Jonesboro constitue un véritable lieu de retraite reposant. Vous vous sentirez comme à la maison dans les chambres impeccables et spacieuses du Best Western Plus® Jonesboro Inn & Suites. Toutes les chambres offrent Wi-Fi gratuit, cafetière, réfrigérateur, télévision par satellite et bien plus encore. Ne manquez pas le petit déjeuner complet gratuit chaque matin. Si vous voyagez pour affaires, vous êtes sûr de passer un séjour productif dans cet hôtel idéalement situé à 112 kilomètres de l'aéroport international de Memphis et à seulement quelques minutes des principales usines. Blotti au cœur d'une ville de l'Arkansas en plein essor, cet hôtel de Jonesboro se trouve à moins de 1,5 kilomètre de dizaines de restaurants locaux et franchisés. Quelle que soit votre envie, vous êtes sûr de trouver quelque chose de délicieux à vous mettre sous la dent. Après une longue journée de travail, vous pourrez vous détendre en plongeant dans notre piscine extérieure. Les équipements supplémentaires de cet hôtel entièrement non fumeur de Jonesboro incluent aire d'entraînement 24 heures sur 24, salon sur place, blanchisserie réservée aux clients de l'hôtel, centre d'affaires 24 heures sur 24 et parking gratuit. Vous avez besoin d'un endroit privé pour travailler avec vos collègues ? Nous offrons également des salles de réunion. Avec son personnel amical et ses équipements pratiques, vous vous sentirez vraiment bienvenu dans cet hôtel de Jonesboro. Nous espérons vous voir bientôt ! Several family members stayed at this hotel when we attended a family function in a nearby town. 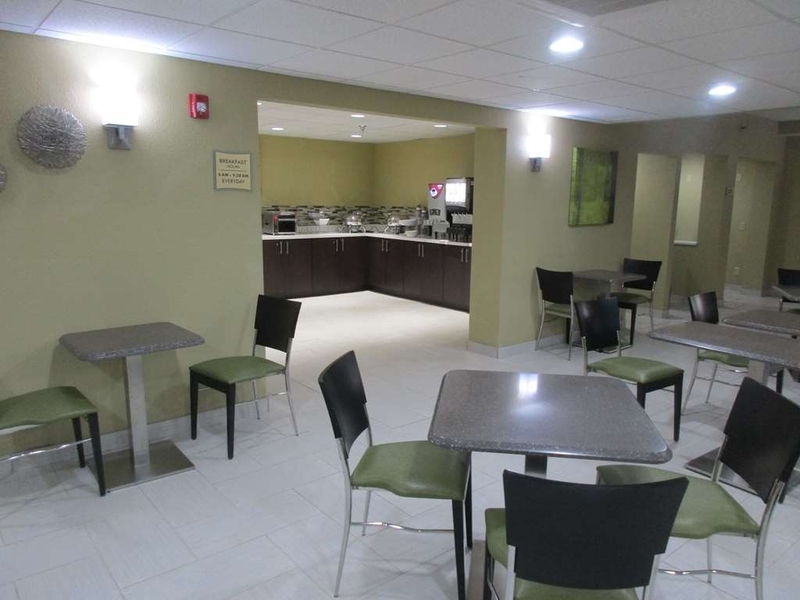 Everyone was helpful, kind, and knowledgeable, but especially Alphonse & Shawnette at the front desk, and Deanna, who kept the breakfast area well-stocked, with a smile and great service, as well as good food. The rooms were comfortable and quiet. We will definitely stay here again, if we visit Jonesboro in the future. Reservations were made several months in advance. Called the week before to confirm staff could not find reservations, computers were down, would have someone call me back, never did. After multiple calls and attempts to book. I ended up booking through a third party vendor to ensure that we had a room reserved as we were visiting jonesboro for a wedding. Management never called me back. Karen, Alphonso, could not help so I left a message for Roxie who never returned my call. When we arrived on the 29th we were given a room in which the bedroom lights were not working. Upon reporting it to the front desk we were moved to another room however this new room did not have a sleeper sofa like the room we had reserved. We were given a hideaway bed when I contacted the front desk about this issue but we had to go down to front desk to get it because front desk said they did not have anyone to relieve them to bring it up to us. The the king bed comforter was dirty and the towel rack in the bathroom fell when we attempted to take the bath towel from the rack. Prescription drugs from past guest was left in the room along with dirty socks & apple peels. Highly disappointed!!! The king suites are awesome!! One of the most comfortable beds I have ever slept in while staying in a hotel. We needed early check in ... no hassle... we asked for a late check out .. no hassle. However, I recommend bringing your own shampoo and conditioner, because does not smell that great and it doesn't work well on thick longer hair. Overall love it, due to work we are frequent guest. Such a pleasant place to stay! Our room was very clean, property was neat & well cared for. Convenient to highway & various restaurants/shopping. Everyone was so kind & willing to help in any way needed! Breakfast was awesome! This is the second time I have stayed at the Best Western Plus in Jonesboro, AR. Check-in and Check-out are quick, the rooms are always clean, and there are many options for breakfast. I could hear the occasional person walking down the hall, but otherwise my stay was very quiet. This is a refurbished hotel which still smells like brand new carpet. It was very clean and comfortable. Note that the pool is an outdoor pool which is closed during the winter. A/C units do not have a continuous fan option for white noise. This Best Western Express seemed recently remodeled. The room was great, clean and pleasant. The breakfast was excellent and the gal in charge of the breakfast and the area was great. She kept a clean breakfast area and was very pleasant to talk with. The staff was amazing! We enjoyed our stay. They went above and beyond! Our hotel was located in a perfect area to find a great place to eat. A bowling alley was close by. It was very clean and comfortable!! My husband and I stayed here on a trip Nov. 26 and again returning home Dec. 1. The staff here are very friendly and helpful, definitely customer service oriented. We never saw an employee who did not look up from what they were doing to smile and speak, whether at the front desk or the breakfast service or housekeeping. The room was very clean, bed quite comfortable, breakfast varied and tasty. We made it a point to stop on our way home after a good experience on the way out and they did not disappoint. Definitely would return here. I had the great pleasure of staying at the Best Western Plus in Jonesboro, AR. for a couple of days and it was wonderful. It was the day before and day of Thanksgiving. That is a particularly busy travel time and that meant the management and staff had to work the busy holiday. And the were fantastic. Always friendly whether getting us checked in or the really impressive complimentary breakfast. The hotel has a fitness center. A really nice looking pool, but it is located outdoors. Oh, and did I mention the breakfast. 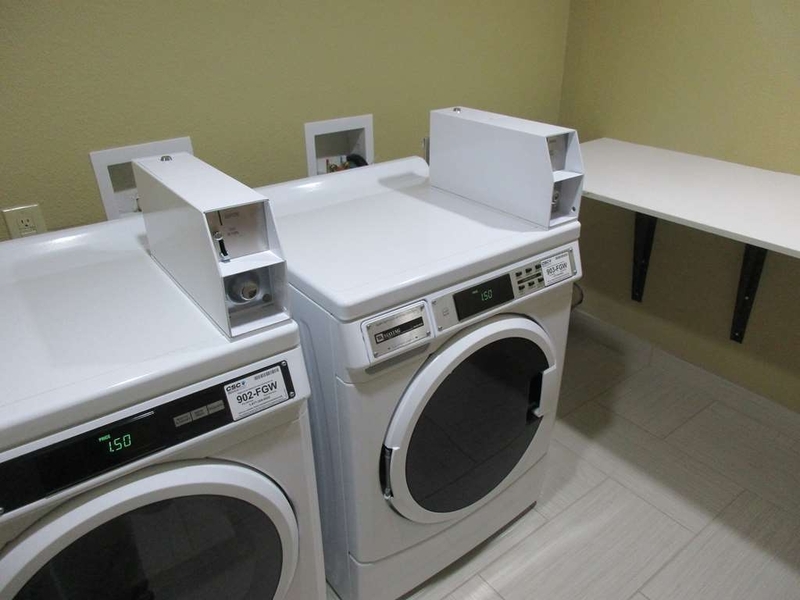 The hotel also offers a washer and dryer which is a great option when you have to spend multiple weeks on the road. The rooms were very clean and spacious. Again, a big thanks to the staff and management for making my stay through the Thanksgiving Holiday so cool. All the best. "Their service pulled me back." The staff was very friendly to me. After my stay for one week, then after a 3 month absence, I did not hesitate to book a room at this hotel once more becase I knew that the staff would welcome me back as if I were an old friend. I was not disappointed. Thank You very much Best Western Plus Jonesboro! I will miss you!!! "Incredible hospitality and very clean!" The rooms were clean and the customer service was great! I would certainly recommend Best Western to everyone! The professionalism of the staff was impeccable! The staff was always pleasant and attentive to my needs. Thank you for such great service. "Worst Western should be the name"
Have stayed at some of the best Westerns across the country including a great one in shamrock Texas , but the one at Jonesboro ark should be totally renovated or torn down. Nasty dirty with non functional TV's to beds that are literally falling apart.they had to change our room for the above reasons from 104 to 102. Excellent hotel for a great price! I stayed here mid-September while I visited some friends here in town. I had a suite on the 4th floor. The location of the hotel was nice, only you had the sound of the freeway outside the window. The room was very clean, and the technology was modern (TV's, air conditioner, carbon monoxide detector, etc). The staff was VERY friendly. The staff was friendly. Our room had king bed and small sitting area with a 2nd tv. No desk which would be a big negative for the business traveler. The carpet in front of sink which is in bedroom was gooey. Fitness center has the basics. Breakfast was typical of this type of hotel. I do apologize. We are working on ordering new carpet for the whole hotel. We also do have rooms with desks in them. Thanks for the feedback. This Best Western has it's good point's and also bad ones. There is only one elevator working and it looks as if the other one which has an out of order sign on it hasn't worked in a while. The hotel has too many floors for only one elevator. When I booked I booked a suite with 2 televisions. The room we were given only had one. I went to the desk to ask about it and was told it was being repaired. Not very nice to not get what I paid for. There was also mold in the shower and broke molding. This Best Western could be much better with a few repairs!! The breakfast was fairly good with hot choices and a good cup of coffee. There was a nice clean pool. This is a fabulous hotel, with a great staff. Rooms are spacious, spotless and beautiful. Best of all, the beds are incredibly comfortable. It's located strategically in the main business district of the city, easy access to every kind of restaurant we might want. Traveled to Jonesboro for college move-in stay with our son. Property was well maintained and room was very comfortable. Staff were friendly and efficient during check in/out. Will definitely stay here for all our future visits. Three people from my office were booked here in separate rooms. The booking was done by the manager. My reservation was incorrect and I ended up leaving a day early (went to the Holiday Inn). One of our group had to change rooms as hers was not clean when she checked in. Other guest had the same issue. hallway carpets were filthy, I did not walk around without shoes in my room. It was very depressing. "Very nice hotel for the price with best western rewards"
I chose this hotel for the breakfast ,pool and weight room. The breakfast was awesome except 3rd morning there and breakfast area looked like a tornado had been thru there. I suggest when it's that busy to have a back up person to help clean tables and restock food,coffee cuos,syrup etc. The lady could not keep up and ended up closing early .And make sure your room is no where near housekeeping area,I was woke up every morning by the employees getting ready for work. I could've moved to another room but my husband didn't want to have to pack everything back up to move.so,I didn't complain either but lesson learned, I will make sure my room will not be near housekeeping again. They were just talking among themselves about work but I could hear everything they said. The pool and weight room was awesome and the staff very friendly and courteous. We had driven from Savanna Ga. and were exhausted so wanted to stay at a best western because we always have good luck with them, Well not this time! We went in and the front desk was not a very welcoming place, but we got a room. We opened the door and were almost knocked over by the smell of bleach, the carpet was torn and stained, but we got through that. Then my husband took a shower and almost fell because the tub was so slick, something they cleaned it with or something, anyway there was only 1 set of towel and wash cloth so I called down to ask for more and am told to bring the ones that he had used and they would replace them. I went down and traded them out and then went back and took my shower. I got some water on the floor and dried it with the towel and then it had black on it from the floor. Finally got things cleaned up and got some rest. the next morning we ate breakfast, which was ok and left. what was sad was this was the most expensive place we stayed in during our whole vacation and the worst experience! Not a great stay at BWPlus-Jonesboro. TV didn't work. Bathroom and carpet not clean. One of the elevators didn't work. Somebody said it had been out of service for over 2 years. Rooms are very compact. Bed was comfortable, though, and breakfast was fine. Workers were friendly and tried to be helpful. Problems at this lodging clearly appeared to be due to poor management and corporate guidance. BW image took a hit here with me. I do apologize about the issues you experience. We are striving to do better and get these issues addressed,. When you walk in you are hit with the smell of cleaning chemicals right away which should be a sign. The staff at the front desk barely cracked a smile or had any facial expression and it seemed like I was bothering them. (For what it's worth I heard the other front desk person telling someone else checking in that they were having a “come to Jesus meeting” about their performance the following day. Something you don't want to be telling your customers) When I got to my floor and the elevator doors opened it was like walking in to a dark tunnel. Hallways are narrow with dark paint and flooring. Stains visible on the hallway carpet and that cleaning / chemical smell again. Room was small and below average. Stains on the carpet, sink in the room and not the bathroom and TV was stuck on the input screen and could not get rid of it. Bed and pillows were average. They did try to update the room with newer furniture but it was like putting lipstick on a pig. Just couldn't cover up the fact that it is an outdated hotel. Area around the mini fridge was disgusting...looked like it hadn't been cleaned in a while. I will be asking my company to take this hotel off of our roster of active hotels, especially since there is a brand new Holiday Inn going up across the parking lot. I do apologize about the issues you experienced. I am sorry you had to hear anything about what was going on with the staff. It is not their place to be talking to the guest about it at all. I am sorry, For the other issues, we are working on getting them dealt with. "Might... if nothing else is available"
I am a professional white collar business traveler who uses hotels on average of 40+ weeks a year. I travel big city and small towns throughout the US. I know hotels and what standards are expected and should be delivered at every value level. So my review is taking all that into consideration. Let's start by saying the staff is very friendly. Not the most accommodating, but friendly. And not too interested in going out of their way to help. I'm a Hampton and Holiday Inn Express first choice travel. However, I was told the "plus" BW are comparable so I thought I would give them a try. No way, no how! Only one person during my visit cracked a smile... okay, maybe two. At the other two brands I get smiles from most everyone. The employee dress code was very lax unlike that of the Hampton and Holiday Inn Express. Just not as clean as I expected or professional. Some better than others. So no consistency. And no one asked me how was my stay. I guess they probably already knew what the response would be. Grade D+, maybe C- Outside of the building was well taken care of and clean. I did notice the sliding doors had left over "sticky" on them from a previously posted sign. I watched the girl clean the windows and only partially attempt to remove the residue. Probably too much work. Exterior Grade A- The hallway carpets are filthy dirty! I stayed on the second floor and was not impressed. I guess they don't have a carpet cleaner and if they do no one knows how to use it. Grade F Room - nicely furnished room. Carpet was stained and not vacuumed prior to my arrival. Easy enough to see so nothing more to say. When I removed my socks and walked across the floor each day (3) I was there to shower dirt immediately appeared on the bath tub floor. That says it all right there. I had to ask for bath towels each of the three nights I was there. The room was only cleaned on two of the nights. Shampoo and conditioner were not replaced at any time. Bed was comfortable. WiFi worked well. Water pressure was excellent. Iron and ironing board worked as expected. Desk chair was broken and I went down to ask the front desk to replace it while I was out to dinner. He said follow him. We proceeded to the business center, he grabbed a chair and said "here, take this one." Really, you want me to take it to the room? Yup, he sure did. Which I ended up doing on my return from dinner because no one replaced the one in my room. A/C worked well. Grade D I visited the breakfast three mornings and found it average but good. Eggs, bacon/sausage, oatmeal, yogurt, donuts, fresh made waffles, fruit, coffee and juices. Hot food was hot and cold food was cold. I asked for a glass of cold water instead of juice and was told I had to buy water if I want it. WHAT? Are you kidding me? They sell bottled water in the lobby if I want cold water. Hot water they had. Another guest also asked for plain cold water and was told they could purchase it at the front desk. I travel 40+ weeks a year and this is the first time I was told that I had to buy my water at breakfast. I asked the breakfast lady if they could get a pitcher with ice for cold water and was informed someone broke it and they don't have one anymore. Totally unacceptable! Because of the water... Grade C They have two elevators, however one was broken the entire time I was there. Not a big deal, however more than anything it created an inconvenience for the guests waiting for the elevator. Just grateful the only running elevator didn't break down. Facilities Grade C Overall the hotel was not Hilton or Holiday Inn Express clean. I was hoping for a better experience. It gave me the impression that if they have time they'll clean the most visible area's but if they can slide by they will. The thresholds of the elevator were caked with dirt. I noticed housekeeping crew literally lounging around the breakfast area sofa's while on break. Not something I see at Hampton or HIE. They did have a major water leak from the elevator room and it was surrounded by a stack of towels. Maybe that's where my room towels went. It just didn't have the smell and look of clean. Cleanliness Grade D In conclusion I would not stay at this hotel again. It wasn't a overall terrible experience, but when traveling I like cleanliness and service with a smile. And service when there is a problem. There are about six hotels within a block of this one and will go back to my Hampton Inn or Holiday Inn Express next visit.Which by the way they are building a brand new Holiday Inn next door and a remodeled La Quinta is opening on the other side. The staff even told me the new La Quinta is very nice. 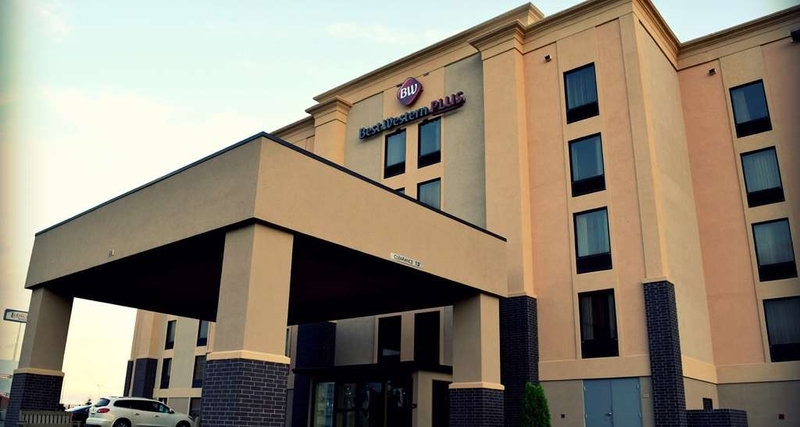 The BW Plus does not match the Hampton Inn or HIE brands in any way, shape, manner or personnel! Price is a little less, but not overwhelming a great deal. Till next time... safe travels! I do apologize for the issues you experienced. We are striving tot be better and do better. We are currently working on some of the issues you experienced. Again I do apologize. "A first for our trip ...."
This was not good at all. Many things were wrong with this 10 day stay at Best Western Plus Jonesboro Inn & Suites. The worst was our being out for several hours and on returning for our room finding the door wide open and no one around. Went to the front desk and informed them that we were lucky that none of our laptops were missing nor any of our personal items. After waiting an additional 30 minutes with the door open the house maids finally turned up and we asked why the door was left open. No reason was made to make us any happier. Room were never cleaned during our stay, one change of towels, no room cleaning nor trash removed. My wife had to request a change of towels several time and she went to the maids to get the items. The day before we were leaving, someone came in and made the bed, changed towels and emptied the trash. The front door staff were nice and communication was good, none of the rest of stay was even close to what we expected. Sorry this happened but we will never stay there again. After all the years of seeing our grand children's graduations, over a period of 6 years, this will be what we remember the most of this visit. We have a fairly large group of followers and hope they pay attentions to this review. Don't place yourself in a position of being upset, stay away. I do apologize for all of the issues you had while staying with us. We are working and striving to do better. I again I am sorry for the issues you had. The room was VERY small. The King bed nearly filled the room, there was no luggage rack and no place except on top of night stands and the mid height credenza to place out luggage. The carpet was dirty as was the tile around the back of the toilet in the bathroom. TV channel guide was not up to date and the ceiling light in the bathroom was burned out. Nearly all of the staff was nice, and a very good breakfast was ready and waiting. They also had nice sandwiches and fruit available to guests in the evening. great and comfortable place to stay for family or business. very friendly and personable people; front desk, housekeeping, maintenance. We have stayed at several different hotels but this is one of the top as far as quality. I would recommend this hotel to anyone coming to this area. The quality of the food for breakfast was great. The food was moist and tasted good and there was a good variety. This was an excellent value. We had a great experience there I would definitely go back the staff was wonderful especially a lady named Marie she was very kind and helpful also the general manager was very welcoming to me she was so friendly I will be recommending this hotel to friends and family thanks for your kindness to my family. Thank you for your review. We are glad you enjoyed your stay. Please come back and visit us again soon. The hotel was very easy to find with easy access. The lobby was welcoming and very clean. The hallway had a slight odor upon arrival, but it was gone by morning. The room was very neat and clean. Breakfast was good and tasty. It was set up a little odd so there were some slow downs. This would be a place i would stay again. Thank you for taking time out your day to leave us feedback .We are glad you enjoyed your stay. Choose another hotel, there is plenty around. Dirty floors, 2 elevators but only one working, guest laundry was not working, furniture in bad shape, TV image was very bad, no good choice for breakfast, etc. Thank you for your response to the survey. I apologize that you did not have a good stay. I will work on these issues with the staff. And we are working on the other issues as well. This hotel a big let down.. I'm a Diamond Select member with Best Western.. 1.Carpet I'm my room filthy 2.Halls very dark 3.Room decor depressing 4.Breakfast the very worst of all the Best Western hotel's i've stayed at ! 5.Staff front desk very inattentive..too busy texting..or eating Stayed @ 49 different Best Western hotel's last 12 mnts..this hotel is way over priced.. not a great value @ all ..it was one of most expensive and big let down ..not going back? "Nice Hotel - Don't leave any valubles in the room"
Hotel was nice and rooms were nice. The front desk staff and cleaning supervisor were all very helpful. Now for the bad. I traveled with my team and had multiple rooms. After a day of competition we returned to the hotel to find out that all of my bags that were closed were opened and things were taken. And iPhone and iPad Mini. In another room someone left her purse in a closed suitcase and that was gone through and money was taken out of her purse. Made a police report but nothing has happened. Hotel is not responsible for there employee even though he no longer works for the hotel the day after items were missing. I do apologize for this issue. I have not heard back from anyone on this matter. My husband and I have stayed at this hotel numerous times over the last couple of years. We were always impressed with the cleanliness and friendly staff until the last couple of visits. The staff is is still nice, wonderful breakfast, easy check-in and out and beds comfortable. My only negative comment is our room the last two times has not been as clean as usual. We had a room on the ground level that was convenient. The carpet and and our bathtub was pretty bad. When I brought it to the attention of the front desk, they apologized and were very kind. My hope is this will improve so we can continue staying at this location. Super nice staff. Great room. Enough comfort for my 31 night stay at this hotel. Easy check-in/out process. Nice selections of breakfast items. Close to the interstate, FedEx express, restaurants, and convenience stores. The front desk people made me feel welcome. The room was huge. the beds were amazing. and the room was so clean. I really enjoyed my breakfast. I was impressed with this hotel and all it provided for me. I will stay again. "Im thinking an 8.5-9 rating! " We came down on an overnight school band trip. The hotel was pretty good. This hotel has been remodeled from the ground up, and I'm uncertain when they re-opened. Front desk was very accommodating and let me check in early. Very nice help and cleaners were nice. The bed was perfect and wonderful. The breakfast was probably and 8. It was tasty with great selections, but it could have been warmer. As far as the remodeling, there are alot of flaws, but that's the contractors fault, not the hotel. Thank you jboro Best Western. Nice place and reasonable prices. Thank you for taking time out of your busy day and taking the survey. I am glad you had a nice time.Please come back and visit us again. We stayed at this location in September and December of 2017. It was the same front desk staff both times. In September our first room was infested with ants. They moved us to another room, but did not offer to compensate us for the food and drink losses, as the ants got in all our snacks, etc. In December, we arrived shortly after the 3:00 PM check in time and were told it would be another hour. We went back about 5:00 and checked in but noticed that the cleaning crew was still cleaning rooms on our floor. The first night was also very noisy with kids running up and down the halls and up and down the elevator. We were in a room right next to the elevator and the noise kept waking my wife up most of the night. We stayed in Jonesboro two nights then went to Searcy, AR for 3 nights. The service, staff, and everything at the Searcy location was top notch. The Jonesboro location really needs to improve in this area of service, because getting quality top notched customer satisfaction is only done with the right staffing that cares and is willing to go above and beyond. The hotel was clean and the staff are very nice. The breakfast area was clean and the food was great. There was a lot of selections to choose from. The rooms are very clean and big and roomy. The bathroom was clean. The bed was comfy and nice. Thank you for your feedback. I am glad you enjoyed your stay. "Discriminated against and targeted for our political views"
I do apologize if my employees were making you feel uncomfortable. I am sorry you had an unpleasant stay. You can contact the hotel and ask for me and I can help try to resolve this issue. Again. I do apologize. Compared to other Jonesboro hotels, this location was the best price. Comfortable bed! Needed better bath towels & more towels. It took awhile to check in, the clerk was cleaning in the dining area. It was a late arrival. Stayed here over a 5 day visit. We stayed in the suite because of the long stay. 2 large rooms to spread out in. The bathroom was large but the shower was surprisingly small (no tub). The room could use some tlc - corner were nicked, gaps between outlets and the wall, the sink stopper didn't work too well. The internet worked the best of any hotel I have stayed in Jonesboro ( I have stayed in about 4 others ), except that I had to keep signing in. I would stay there again - lots of room to get comfortable, working internet, free breakfast. A good choice for Jonesboro. 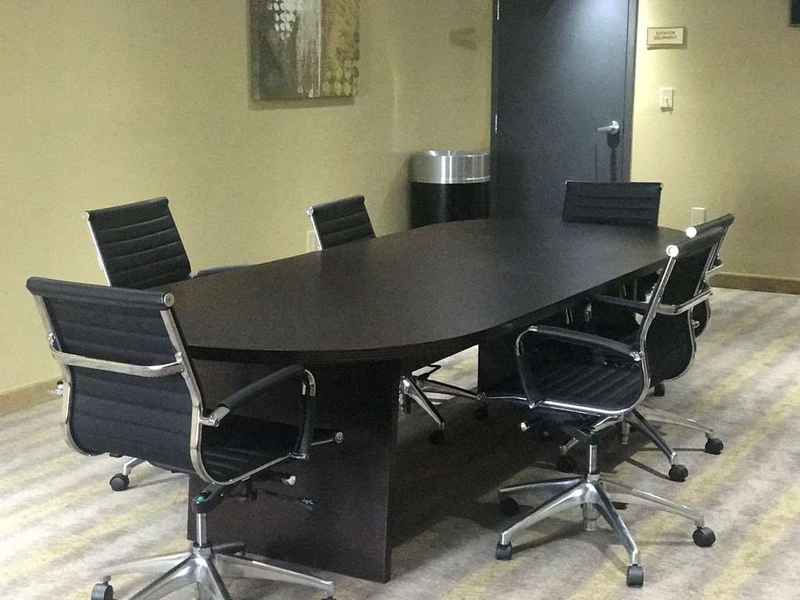 A great facility with great people located in a city that can be hard to book a room in, if on short notice. 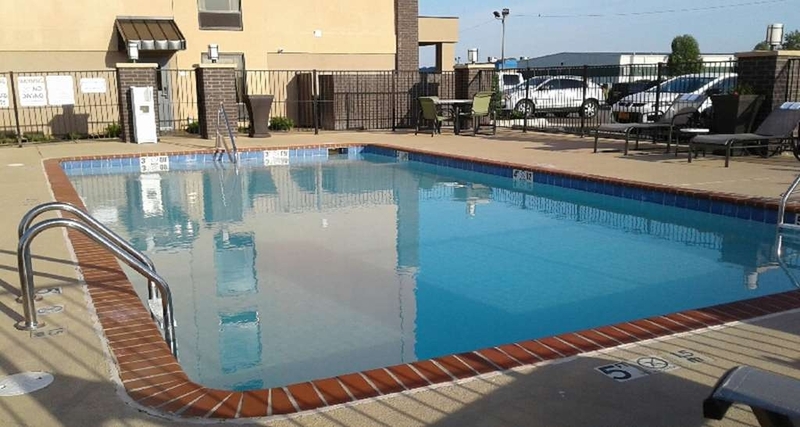 A clean well maintained property that will probably become my "go to" hotel in Jonesboro! It's a little hard to locate with other properties in front of it, but certainly worth searching for if necessary! We stayed at the best western in September of 2017. I really don't have anything bad to say. I've read a lot of really negative things, but our stay was excellent. The bed was exceptionally comfortable, the shower was great, the room was cozy, and the breakfast was a 10. Staff extremely helpful. Hotel in good location, very clean. Only issue I had was it was rather dark in the halls - decor added to that, and there was a musty smell in the room. I bought an air freshener - and it didn't cover up the smell. Didn't seem to be dirty etc. - and that's the only complaint I had. Staff was great. Bed was comfortable. Value is good. Will stay again. Second time staying here in 1 year and both times we ran into issues checking in. This time we had to wait up to 3 hours after checkin time to get a clean room. They try but don't quite make the mark. Dear 102latanyas, Thank you for taking time out of your day to leave this review. Please know we value your feedback which will be used to review our hotels further. We hope you will give us another opportunity in the future. We have stayed her 4 or 5 times over the course of the year. We have had a fine experience a few times, however three times now I have felt like I was staying at a rent by the hour hotel. Lots of partying and stray individuals hanging around. Lots of late night commotion. Normally we just ignore and try to sleep through, however I did call front desk and complain. I think this hotel needs to have a strict policy on late night partying and random people hanging around. The rooms are clean, somewhat updated, however AC in our room was not great, we never could get it to cool off in our room. I'm guessing we had smaller room as the bathroom vanity was in our room, which is also where the coffee pot and ice bucket are set up--isn't that a little unsanitary? We will not stay here again! The hotel staff was extremely helpful and accommodating. The room and hotel were very clean and the rate was reasonable compared to equivalent in the area. Easy to access location. Difficulties with door key card were addressed immediately and with courtesy. The breakfast was good and there were many options. The room was very comfortable and clean, but the staff was very unprofessional from the start. At check-in, we were greeted by a young woman in a short, tight-fitting t-shirt, who was on her cellphone which was on speaker saying she was talking to her husband who managed another property. Our key didn't work for our room. Got new keys which still didn't work. She came and still could'nt get in. We were given a different room. I was even more upset when I found out two days later that we were charged for the hotel stay when it was booked as a rewards stay. My bank account had a hold from the BW for $245, plus a charge for $245. After numerous phone calls, I finally was able to the get General Manager at the hotel to correct the problem. Do not stay there dirty also stinky there is just like a wet swamp smell. One of the TVs was broken. When we walked in there's a high-powered band trying to dry the room we called the man back he said nothing just took the fan. I asked if we should switch rooms and he's oh no problem! When we got into bed at 11:30 that night it felt like it was wet did not sleep a wink! Do not stay there!!!! "An "OK" hotel with a great hot breakfast"
Overall, this was an "OK" hotel. We stayed for two nights. The best thing I can say about the hotel was the hot breakfast served between 6 - 8 AM. The food was satisfying and added value. The breakfast attendants were friendly and attentive. The room was average. It was kept very cold (64 F), but I prefer it on the cool side. The beds were uncomfortable; too hard. The Housekeeping staff was a definite negative for this hotel. Upon arrival outside the hotel, two trash cans were sitting at the front entrance. They were full and overflowing. When we checked out two days later, the same cans were still overflowing. Trash collection seemed to be a problem. In the room, Housekeeping did not empty the trash during our stay. They left used paper coffee cups and plastic water glasses on the desk. Also, they also didn't replenish the coffee service supplies or cups. In the bathroom, dust, hair, and other debris clogged the exhaust fan vents. If the issues with the Housekeeping had not occurred, I would have given this hotel at least four stars. The room was clean and comfy. They already had the AC turned on which was awesome in summertime for the South. Bathroom and shower clean and well lit. Many breakfast options and tasty food; they even had chocolate milk! We were driving through and needed a place to stop for the night. Everywhere that had good ratings was already booked for the night. We saw the Best Western Plus. The ratings were ok and we were able to reserve a room online. We had reserved a 2 queen beds room but when we got there they said they only had a king bed room left but we decided to take it since there was not much else available in the area. The room was clean with a big bathroom. Our boys were excited there was a pool. I asked at the desk how late it was open and they said 10. So we got our swimsuits on but was unable to get into the pool. We go back in and that time the manager was in and said they had to close the pool to clean it. I kind of wish that had been communicated to the front desk staff as I was worried my 4 year old would be pretty upset. The manager offered them drinks and snacks and promised it'd open in the morning. To make up for it she extended our check out time. Of course the boys were up bright and early to go swimming. We had a very good hot breakfast in which the manager was out and about making sure everything was ok. All the staff were polite and friendly. The boys were able to go swimming and we were able to check out late with no problem. This was my first time staying at Best Western and I would definitely come back for another stay. The front desk staff are extremely nice and you can tell they care about the customers. The beds are super comfy, the rooms are cute, and the breakfast is good! The only thing I didn't like was the carpets through the hotel. They seem pretty stained and dirty. It kinda throws you off because everything else is so clean. That's one thing that should definitely be fixed. NEW CARPETS! Hotel was clean. Staff were nice. Breakfast was very good for a free breakfast. The only negatives were the carpet and towels in our room were slightly damp. It wasn't enough to complain. I think maybe the AC wasn't removing enough humidity. Location pretty convenient to everything. The staff here was extremely unprofessional and rude. Every time I encountered a staff member, I received the worst attitude and legitimate ugliness. I called down to the front desk at one point to inquire about the pool and was treated horribly for asking a question. She even hung up in my face. I definitely will never stay here again. I prefer to stay where the customer matters. Nice bw property. 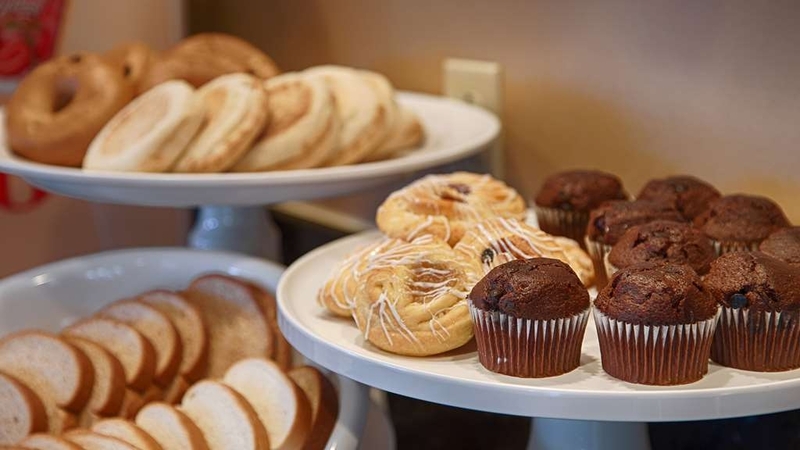 Clean comfortable rooms, good internet, great breakfast including scrambled eggs, bacon, sausage, gravy, waffles, assorted pastries, cereal, oatmeal, etc. , The staff are pleasant and accommodating. The property has a fitness room and pool and is easily located. We are pleased to know that you enjoyed your stay with us. We continue to work hard to ensure that all of our guests enjoy making their home away from home here with us and your feedback is a great help to us. We look forward to seeing you again! We've stayed at this hotel 2 years in a row now. Nothing fancy but worth the money. No issues the 1st year and this year only two minor issues which were addressed promptly and professionally (ran out of toilet paper and housekeeping missed us one day). Free breakfast is pretty good and located in close proximity to restaurants and the Interstate. Hello Shari, Thank you for your response. We are always looking for ways to improve at our hotel. We will take your review and use it to improve. 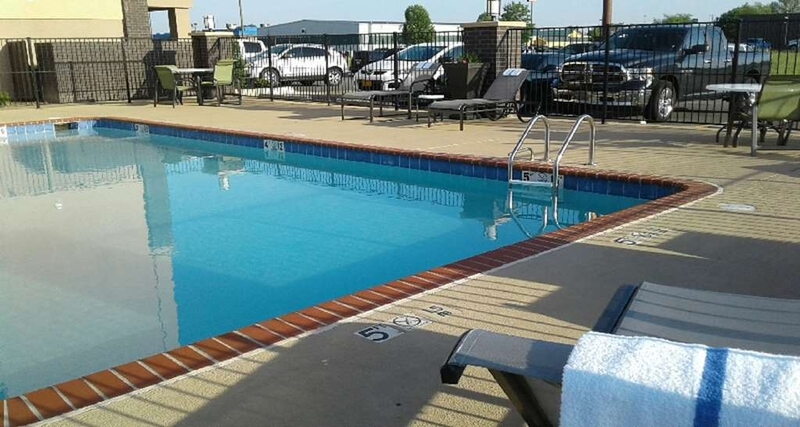 We hope that you will consider staying at our hotel next time you are in the Jonesboro area. Please let us know if we can be of any aisstance to you. "Poor hotel, should be avoided"
While the front desk agent was pleasant and helpful, the housekeeping staff were extremely poor. Bathroom not cleaned upon my arrival, toilet paper not replenished during my stay, Kleenex not replenished during my stay, towels not replenished during my stay despite my used ones being taken away, bed not made during my stay, bathroom not cleaned during my stay. In addition the property is beat up and feels old despite the new branding as a Best Western Plus. A hotel to be avoided. We stayed 8 days. I am sorry to write this because we like to give the benefit of doubt but this review is earned. I requested extra when registering a month before. Called to say we will arrive at 8 pm. They gave all extras away and offered a decorative throw pillow. Shook my head. We had enough though they are smaller than normal on 2 queens. Ran out of breakfast juices and other food by 9 am on Sunday. Didnt change sheets on 3rd day as promised. Had to complain. They did write an apology letter for that. Another day they didnt replace all towels, we had 3 people & were short. We let them know. Another day forgot to clean room at all. Felt like it was retaliation but maybe just consistently bad. Creepy breakfast freeloader confronted us. Staff knew him. He scared my wife, I told her to leave and let him focus on me. Then he abruptly left. Two step WiFi was difficult to connect through phone using an android Chrome browser. Bathroom door was swollen and wouldnt close without slamming close. Very hard to open too. Safety issue. Staff where always nice when we complained (hence the 1 star). Shared bed light was extremely hard to press. Wife couldn't. Large breakfast but they may not stock properly to make it through the weekends. 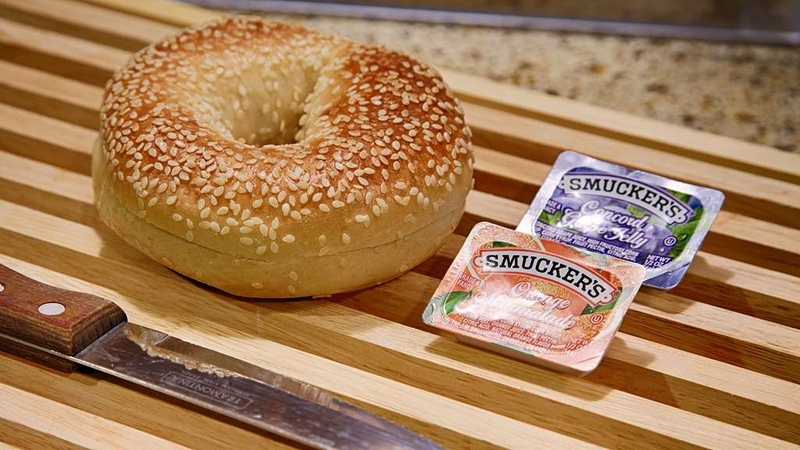 Bagels but no knife or other means to cut and toast them. Instant coffee machine for breakfast is not good. They need fresh coffee. Also it was the weakest coffee I have ever had at a motel. Probably because they can adjust instant coffee to water ration in the machine and you have no choice. (Never cut costs on the coffee). For this I paid $1,000. No discounts were offered for all of these issues. We come to Jonesboro repeatedly but first time here because we have had good experiences at Best Western. Manager seems to run based on complaints rather than proactive motel management you find at other locations. Lukewarm showers both mornings I was there. Apathetic desk staff. If at all possible, stay at a different hotel. There are better options nearby. To be fair, the breakfast was decent for this level of hotel. New, nice, great staff, super breakfast. Also served cold cuts, vex tray and pop for dinner snack. Construction nearby made it harder to get here but no noise from the construction. If you are a Rewards member, this is the only place we had stayed on this trip where we were recognized and given an upgraded room. Loved it..close to the interstate and to restaurants ..friendly staff..the room was so nice and comfortable....even had a separate TV room..had free cookies at the front desk...had toiletries for sale at the front if you didn't have stuff like toothpaste..will definitely come back and recommend this place to all travelers .. I am here on business staying in a standard king. I have stayed at this hotel multiple times and always been at the same state rate room, usually double queen but sometimes king. There has always been a desk in my room and room has always been a decent size. This time I am what I can only describe as a closet. Bathroom is so small that vanity is in the middle of my room, tv is weird placement, and there is no desk at all. I am here on business for THREE DAYS and will apparently be working in my bed. I went and spoke to front desk and while the worker was VERY nice and friendly apparently there is nothing that can be done without me spending money out of my pocket as my agency won't approve above state rate. I even pointed out that on their own website on EVERY type of room listed it shows desk in the amenities. Also this closet of a room looks NOTHING like the pictures posted on their site with standard king. I will not be staying here again. We apologize for the inconvenience. Some of our rooms as you see do not have the desks. Please allow us to make this situation right for you, contact me at your earliest convenience and I will be sure to get everything taken care of for you. I will also look into making sure that all websites that advertise our hotel has the correct amenities for our rooms. Also with you being a valued guest of ours we should have been ready and willing to upgrade you to one of our suites. If you could please call or email me. My email address is [email protected] and phone is 870-333-1419. This hotel is very clean and up to date with all the latest conveniences. The staff is excellent, especially the management and the 5th-floor housekeeping. The breakfast area and food were great and the staff was great too. Great place, friendly staff, great breakfast! Rooms were clean and comfortable. Great pool area, too cool use this time. Provides news papers and great coffee for the early mornings. Has a fitness room which was very nice also. Thank you for review. We always look forward to hearing from our guests. We also welcome each to review our hotel for our future guests. We hope that your review will serve the purpose for our future guests because it has helped us to know some of the things you enjoyed while with us. I stayed 2 nights on business. I don't have a choice of hotels when traveling for business or I would never have stayed here. My employer pre-pays so I'm generally stuck. First it's an older hotel that has under gone recent remodeling. There is NO signage anywhere indicating what the hotel is outside or inside. It is very hard to locate. Remodel in rooms is rough and poorly done. But the big problem was cleanliness. I arrived late and after unpacking I realized in the bathroom on the wall beside the toilet, someone must have picked their nose and wiped it on the wall. Then later I noticed on the side wall toward the back of the toilet there appeared to be where someone had a bathroom emergency had missed the toilet. Not urine but excrement. If housekeeping misses that much what else are they missing? Disgusting! Dear Jo, I sincerely apologize of the mishaps you encountered during your stay with us. I want you to know this is unacceptable and I will be sharing your review with my housekeeping team. We strive to provide an over the top experience for each guest. Unfortunately this was not the case in your situation. I would like to speak with you personally, if you could please email [email protected] or call 870-333-1419. Thank you so much. We enjoyed our stay at the Best Western Plus. The building is in the midst of remodeling and has no name on the outside. The rate for one night was very attractive compared to other motels in the mid-price range. Inside the room was quiet and clean. The breakfast was better than other motels in this class. "Best place I've stayed at!!??" The staff was amazing!! Great breakfast selection. No noise issues. Clean. Practically new place. Beds slept well. No problem with check in or out. Would recommend to all & will absolutely stay there again!!!! Thank you so much for taking the time to review our hotel. We are thrilled that you enjoyed your stay with us here at Best Western Plus Jonesboro Inn and Suites. It is our goal that each of our guest have a superior experience during their stay. We look forward to having you again. "I typically do not do bad reviews, but...."
You can look at all my past reviews and see I usually will not say anything overly negative. That's how I was raised, so there has to be a pretty serious issue that I think readers here should know about for me to be negative. The hotel was recently remodeled, so it looks nice both inside and out. There is no signage on the building, so it is a little hard to find when you are looking for it. The walls are very thin, and having a room on the freeway side, I heard pretty much nothing but traffic all night. All of this being said, are things that happen with a hotel. My issue was the fact that there was not a smile in the place. Every staff person I ran into had a scowl on their face, and it just really turned me off. Also, the front desk person signed me up for their awards program without my consent. So, as much as I hate to say it, I would not recommend staying at this hotel right now. Thank you for taking the time to review our property. Your satisfaction is our top priority and by taking the time to tell us the things that you like and dislike about our property we can make the necessary changes . I apologize that the staff you encountered were not friendly, I will speak with the staff regarding this immediately. It our goal that each of our guests feel welcome and a priority. I will speak with the staff regarding the multiple service issues that you encountered during your staff. I hope that in the future you will consider staying with us again. "Clean and nice but not ideal SLEEP environment"
So the walls in this hotel are paper thin and the room next door to me is literally playing LOUD mariachi music and has been since 5:00am. I sleep with a noice machine app when I travel and even with 'waterfall' blaring next to my head it woke me up so loud I thought the little hotel alarm clock must have been set from the person the night before. I heard some room noise last night but it wasn't so bad when my tv was on etc. this morning with less other sound in my own room I hear this music clear as day as well as the ice machine being used in the hallway, when the people next door talk, put the toilet seat lid down, flush, turn the sink on, etc. I can hear everything. The hotel looks nice and feels clean but if you can't SLEEP here then what's the point. Would not recommend. Thank you for your review. I apologize that you were unable to sleep during your stay. Your comfort is a priority to us and we will look into the noise issues that you encountered. By telling us what you like and dislike about our property, it allows us to make the necessary changes. If you are in the Jonesboro area in the future, Please consider staying with us. "Came close to being a nice place to stay but don't recommend"
This is a mixed review. The staff was very friendly. The breakfast offered a nice variety and the area was kept clean and well stocked. Was told the hotel had been recently redone. Hall decor was very dark and noisy. Room decor was okay but reeked with a sweet smell I suspect was some sort of carpet fresh product. Our room adjoined another. Even though the door was never opened, we could hear every word of the occupants conversations. Bathroom was poorly redone and not particularly clean. Shower was good, high enough for tall people with plenty of hot water. Huge issue was housekeeping. We had a Do Not Disturb when we went down for breakfast but removed it when we left the room at 11:00 a.m. When we returned about 10:00 p.m. the room had not been cleaned. Seems if the housekeeping staff sees the DND sign when they walk by early morning, they do not check back to see if it has been removed. We left a note on the door to please clean in the afternoon but it was ignored. The lady on the evening desk brought us clean towels. Bottom line, this hotel came close, but falls short of being a nice place. We will chose lodging elsewhere. Thank you for taking the time to review our property. I apologize for the housekeeping issues that you encountered during your stay. I have spoken with the housekeeping staff regarding this and will definitely keep a close eye on this in the future. I assure you that this is not something that normally happens at our hotel, and this failure in satisfaction is completely unacceptable. I do hope that if you are in the Jonesboro area in the future that you will consider staying with us again. "Nice on the outside but dirty on the inside"
I stayed here because all the nicer chain hotels were booked up and this was a step up from the left over hotels that were available. Upon arriving the hotel actually looked new or remodeled and had a very nice front lobby area so I was happy on my choice. The front desk lady was very friendly and checked me in quickly which was appreciative as I landed very late and night and was exhausted. Upon arriving in my room it was a nice set up and had no complaints as I just wanted to go to bed. I used the restroom and found to my disgust a small spot of urine on the seat which I cleaned up as I didn't want to have the hassle of going downstairs and changing out rooms. I could overlook this at such a late time in the night. The bed was comfy, but as a lot of hotels one can hear all the doors and people walking through the hallways. In the morning with the drapes drawn open I really got a chance to see the room and it looked as if the maid probably only made the bed and wiped down the sink and tub, apparently she missed the toilet. The room (306) was not vacuumed and there was dirt all over the carpet. The tile or whatever the flooring is by the sink had not been mopped as there were stains that were easily could of been cleaned. The sink area is an open sink and there was a hard water stain on the bottom shelf where the sink is installed and upon further inspection the sink leaks. When I closed the bathroom door there was a dirty towel hanging on the back of the door. I was also surprised that there was only one towel and 4 hand towels provided, but I think this is due to the room not being properly serviced because there was only 1/4 of a roll of toilet paper on the roll. The funny thing is that there is a secondary toilet roll but it was empty so if I was going to be there for more than one night this would of been an issue. In the morning I also used the gym, which surprisingly for this type of hotel they had the three main cardio machines but also had free weights and another weight machine which was nice. What would of been nicer is if they actually had water in the water dispenser and towels. I used the gym at 8am so I figured maybe they just ran out but there was no towels in the dirty hamper so they don't seem to bother to provide these things even though they have a rack saying "towels" on it. I really would rather not stay here again but this town is always so busy during the week and the hotels get booked quite fast. Ive been to the lower hotels that are in the area and they are even worse. My advice is book in advance and stay at the Hilton, Holiday Inn type hotels and use this as last choice. Thank you for taking the time to review our property. I have spoken with the housekeeping staff regarding the issues you encountered during your stay. This failure in housekeeping was completely unacceptable and we have spoken with both the housekeeping staff and supervisors to ensure that this does not happen again in the future. Also, there were bottled waters available at the front desk for the guests during the short time that the water machine was empty. I assure you that the issues you encountered are not reflective of our hotel. I hope that if you are in the area again in the future that you will reconsider staying with us again. This was a typical Best Western Inn with all of the standard features. The rooms were clean and comfortable. The beds were very good. There was a complimentary breakfast. However, everyone went out of their way to say hello and to inquire if there was anything that they needed to do to make the stay more comfortable. The friendliness of the staff really stood out and was very much appreciated. Thank you for taking the time to review our hotel. We are thrilled that you enjoyed your stay . We look forward to you staying with us again in the future. "Lots of Confusion on This Place... But only one verdict." I elected to stay at the Jonesboro Inn and Suites (A former Holiday Inn Express and NOT associated with Best Western from my recent observation) when the Hilton Garden Inn was ringing up at over 2X the price. You get what you pay for so while I saved ~$600 on my stay I had to deal with finding 1-2 beetle type bugs in my room each night. It was not a clean hotel though it could have been. My take is the owners are using this as a cash cool and not putting much money into it. I'd stay here again only if I were not staying with my family and I was staying for a long time. "Bright Lights in a not so big city!" Everything was fine with the room. The proximity of the ice maker made for a little more noise than I'm used to. The lights in the room were extremely bright. The kind that are pure white lights and no dimmers to be found anywhere. The sink was outside the bathroom which was a little different but the room sleeps 4 so I could see where that would be a benefit for getting ready. Breakfast was more than adequate. Staff were extremely friendly. "happy to find a clean hotel in Jonesboro"
I was so happy to find a clean hotel with a great breakfast. I asked to be on the top floor away from the elevator and that is where they placed me. All staff was friendly and helpful. I will stay there every time I am in town. We found a newly remodeled hotel. Friendly, helpful staff and a clean room. The breakfast was typical free breakfast. Tasty and sufficient. Much to my grandson's delight, they even had chocolate milk available. The pool was clean and in working order. All in all, a good place to rest our head for the night. Thank you for taking the time to review our property. We are thrilled that you enjoyed your stay and look forward to you staying with us again in the future. This is a brand new hotel and I am very disappointed. There are some good points. The staff is very nice and helpful. The room is a nice size. Now for the bad points. The workmanship in this hotel is very shoddy. The tile work is bad, the painting is sloppy. You can see places where mold is starting to grow if not taken care of. Overall the work on this hotel is poor. If I was the contractor I would be ashamed to put this kind of work in the public eye. I am sorry but I would not stay here again. Thank you for taking the time to review your stay with us. I apologize that we were not able to exceed your expectations. Your feedback is very important to us and lets us know the improvements we need to make in order to provide you a superior lodging experience. 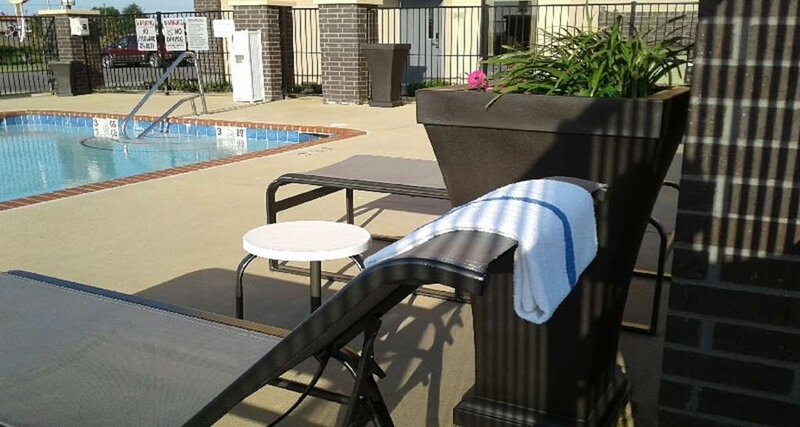 Be assured that your satisfaction is a top priority to us here at Best Western Plus in Jonesboro. Thank you for your recent stay with us at the Best Western Plus in Jonesboro. I apologize for the mix up on your receipt. That should not have appeared there since that is just the amount Hotels.com pays us at the hotel, and they keep the rest as a booking fee. Normally, this rate is blacked out because of this. This was a mistake on our part and we sincerely apologize. Please consider staying with us again in the future. We look forward to your next visit. "Wait...not a chair in a room!" We are sorry for the experience you recently had during your stay. I apologize for way the front desk agent treated you and will speak with her immediately regarding this issue. 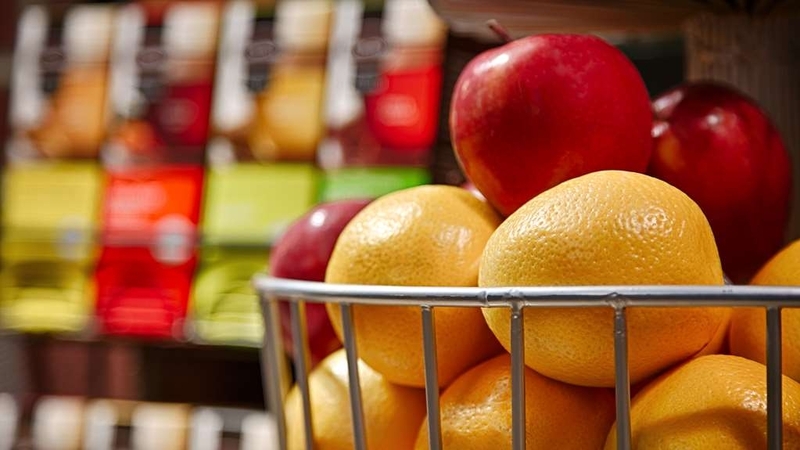 Be assured that your satisfaction is of the utmost importance to us here at Best Western Plus in Jonesboro and this type of situation will never happen again. I regret that you were not offered superior service and received a poor experience, this is the exact opposite of what we pride ourselves on. We value our guests and understand how important it is to offer exceptional service. Thank you for bringing this issue to our attention. Please consider staying with us again in the future so that we can prove how much we appreciate you business and want you to remain a valued guest. Thank you for taking the time to review our property. We are thrilled that you enjoyed your stay with us. We look forward to having you again soon. We stayed here on our way home from Florida for 1 night because other hotel didn't have vacancy. Staff was nice but room was not what we expected. Husband went to look at air cond and ended up with wet paint on his hands, room smelled like paint, I'm not sure what they did to floors perhaps shampooed them and didn't let them dry, shower head spewed water all over bathroom, and whoever they hired to do their remodel was horrid, left paint on floor and absolutely didn't clean up their mess, not sure how much the maid cleaned but floor was still dirty and everything was covered in drywall dust. Has potential to be nice but felt they were putting people in rooms before they were ready to be used. Would prob stay here again if nothing else was available. Love Best Western! Beds were great! No problem with internet. Staff very friendly--even gave me a delivery menu!!! Clean! Plus, mouth wash!!! Breakfast was nice and they had actual bottles of milk. (chocolate and white) I also liked the fact that they had two waffle makers!! No lines! We are so thrilled that you enjoyed your stay with us. Your satisfaction is our top priority. We look forward to having you stay with us again in the future. Spent three days and three nights in Jonesboro. Everything about our BW stay was great. (2) hints for your stomach. Upper Crust Pizza on the other side of the interstate has good pizza. Fat City Grill out by ASU has good steak. Thank you for taking the time to fill out the review. We loved having you and we are so happy that your stay was enjoyable. We look forward to seeing you again on your next trip to Jonesboro. "One night to see town"
Very clean, we didn't even check into the other hotel:), it was filthy. This one was brand new clean. Rooms were nice. Bathrooms in rooms r very small. But ok. Everyone was friendly . Breakfast was good. They do need a sign?? Bed was comfy, enjoyed the extra space. Thank you so much for your feedback . We are so very pleased that you enjoyed your stay with us. It is our goal to always provide exceptional service to each of our guests. We do have a sign ordered for the building and we are just awaiting its arrival. We look forward to having you again. For a newly renovated motel it was pitiful 1st room had no hot water and 1 ac unit didn't work the 2nd room had hot water but again 1 ac unit didn't work. You would think if you pay that kind of money to stay in a room that had just been renovated you would have a better experience, not for this place. Thank you for completing the survey regarding your recent stay at our property. On behalf of our entire team, I would like to apologize for not exceeding your expectations. Your satisfaction is important to us and we will be using the feedback you gave us to implement improvements to ensure we offer a better experience for guests in the future. I hope that you will consider staying with us again so that we can have another chance to provide you with a superior experience. If I can provide any assistance, please don't hesitate to contact me directly at 870.333.1419. This hotel has large rooms. The bathrooms are a little small, but there is a nice wet bar area between the living room type area and bedroom. It had a sink, counter space, outlets, and a mirror, so it doubled well for extra vanity space. I had read reviews that this hotel is in transition. It was still very nice. It does appear that they are still working on a few things. We had a leak in our bathroom. There were no other available rooms to move to, but we were satisfied with how the management handled it. The bed was very comfortable. The room also had a little table in the living room area, which was nice since we brought in dinner. We were very pleased with the friendliness of the staff. The breakfast was good as well. We only pass through here about twice a year to visit family, but we would definitely consider staying here again. Thank you for your feedback. Your business is very important to us and we value your feedback. By telling us what you liked about your stay and how we can improve, you are helping us deliver a superior experience for you and other guests in the future. We hope you will come back and see us again soon. The staff was efficient and friendly, especially given the hotel had just flooded due to malfunctioning sprinkler system. The hotel was gutted and redone, but the quality of workmanship and materials lacks. The room I was in was also not very isolated from surrounding sounds. A better fitting door would possibly have helped. Thank you for your feedback. I apologize that we were not able to surpass your expectations. We have worked diligently to address all the issues that you encountered during your stay. Your feedback is critical in helping us improve our facility. "Just openned three weeks ago"
This new hotel is located in the area of all of the hotels in Jonesboro. As we are members of the Harley Owners Group, we had hoped to get a better rate here with our Harley-Best Western rewards program. We were wrong, but decided to stay here anyway as we were hot and tired. Our room was clean, but we noticed quite a few poor finishing construction problems with our room. Whoever did the drywall, did an awful job in the bathroom. Fit and finish was poor. The hotel offered a nice complementary breakfast area, but both waffle makers were out of service. The restrooms off of the lobby were also out of service. Thank you for your feedback. I apologize that we were not able to surpass your expectations. We have resolved the lobby bathroom issues , and the waffle makers are now back working. We have worked diligently to address all the issues that you encountered during your stay. Your feedback is critical in helping us improve our facility. If you are in Jonesboro in the future, please consider staying with us again. I stayed here one evening in a king suite for about 6 hours. I departed before the breakfast was served. The room was very nice and appeared new or newly remodeled. The staff was courteous. They were experiencing some type of hot water issue on the 5th floor, while one took a cool shower, another took a scolding hot shower. I was a little dissatisfied with the AC cooling capability in my room, others in the group said their rooms cooled fine. I would try another stay with them. Thank you for your feedback. I am glad you enjoyed your stay and I apologize for the hot water issues during your stay. We have worked diligently to address all the issues that you encountered during your stay. Your feedback is critical in helping us improve our facility. We look forward to seeing you on your next trip to Jonesboro. "Feels like brand new "
This hotel has a feel of being brand new. Although I think it was an existing hotel that was totally gutted and remodeled. From the moment we walked in I commented to my wife how it had that new car smell. Our room was very clean, very well laid out, with new furniture. It had a new small refrigerator and microwave. The staff was some of the most accomodating of any hotel that we have been to. The front desk clerks went above and beyond to make sure we were taken care of. I have a disability and they made sure that we got a room that fit my needs perfectly. They told my wife that if it wasn't perfect for my needs just let them know and they would let us try another one that did. Upon leaving I was waiting on my wife to pick me up when the desk clerk, Morgan, literally ran to see if there was anything she could do to help me get from the lobby to the carport. Then Morgan stood there for a few minutes to keep me company until my wife drove up. Then she opened the car door for me and offered to help me get into the car. Morgan said that she had only worked for the hotel two weeks. I hope that hotel management reads this and rewards her for her behavior. She represented the Best Western brand name well not just the Jonesboro location. I was surprised that we liked the hotel so much because we normally stay at Marriott brand hotels. But my wife's company booked this hotel. As a result, we will consider the Best Western brand from now on. And if my wife's work takes her to Jonesboro again we will probably specifically request this hotel. Recommended! Thank you for your response. I am so glad that you enjoyed your stay with us. 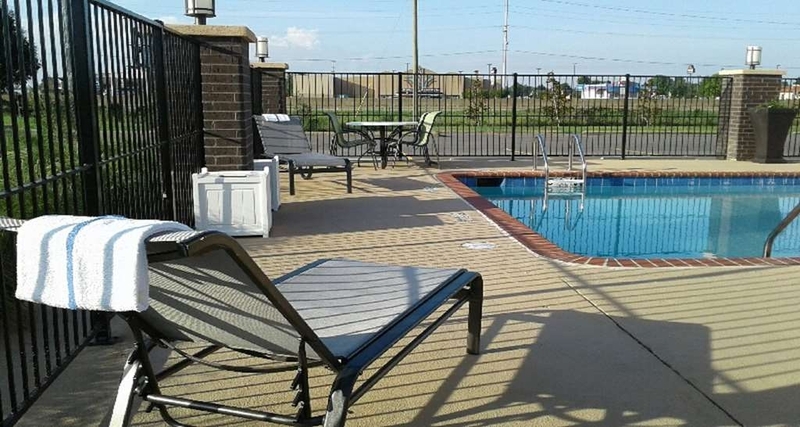 We look forward to having you stay with us on your next visit to Jonesboro.